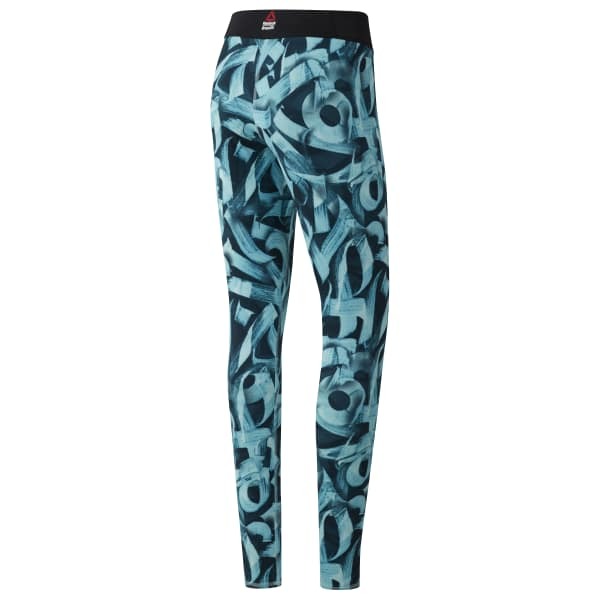 CrossFit is life, and these leggings take the word to the street. Russian calligrapher Pokras Lampas interprets the CrossFit word mark in the unique print splashed from top to bottom. Comfort factors combine an anti-abrasion zone to protect your back during floor workouts, and bonded, ergonomic seams which reduce chafing as you move. The CrossFit-specific fit gets slimmer at the waist with a wider hip and thigh circumference to support that unrelenting work ethic.